Despite the negative relationship Venezuela has with the US, many are still working to help the country's economy through cryptocurrency. When Venezuela launched its own cryptocurrency (the Petro) back in February, we reported it as a desperate attempt to utilize the market to bypass the sanctions imposed by the United States government. It wasn't long before the United States Treasury Department warned against investors getting involved in Venezuela's attempt to better its economy through cryptocurrency. To drive the point home, Donald Trump banned US citizens from buying or selling Petro in the market. The United States drew a clear line in the sand and told Venezuela not to cross that line under any circumstances. However, not every American citizen has given up their desire to help the country's economy through cryptocurrency. 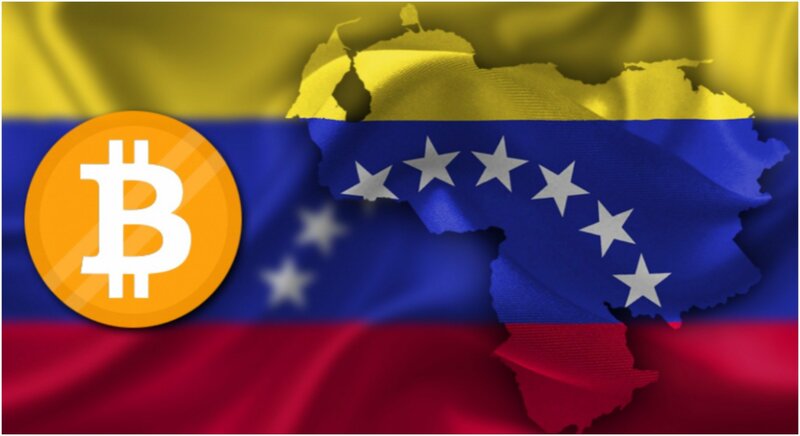 What is Jonathan Wheeler's Plan to Bring Bitcoin to Venezuela? According to a report from CoinDesk, Jonathan Wheeler is a former bank employee turned developer who has been developing a big project to help Venezuelan citizens overcome one of the most oppressive governments in the world through cryptocurrency. The Petro doesn't have the influence on the market that many hoped, but Wheeler is actually planning to help the country through a major mobile airdrop that would donate billions in Bitcoin to Venezuelans. Wheeler has already established his own non-profit called Pale Blue Foundation alongside Morgan Crena. Their plan is to grow their team, work with established cryptocurrency companies to develop a mobile app called Azul. The team is also working on its own lightning implementation to rival Bitcoin's technology eventually. Wheeler and Crena are hopeful they can form partnerships with the United Nations and the Human Rights Foundation to help their cause and get the necessary donations to actually bring Bitcoin to Venezuela. Originally, Wheeler wanted to raise millions of dollars from venture capitalists directly, but his ideas have been rebuffed and he's been told to launch his own cryptocurrency to accomplish his goals. Instead, their plan remains to form deals with cryptocurrency companies to establish a new system quite similar to what Akon is trying to do in Africa. As of this writing, Wheeler is still working to bring his complex plan to fruition. He remains hopeful his plan can work and will lead to helping more struggling countries in the world after Venezuela. All Wheeler needs is the right people to develop the technology and enough donations to make a real difference.